Windows 10 has new generation design, It is easy to use social media sites like Facebook, Twitter, It is the latest Windows operating system which features many changes and very eye catchy user interface, It delivers new features on free upgrade, So, You will not wait for the new release and it has trusted brand name of windows. When you run Windows 7, Windows 8.1, and Windows Phone 8.1, You can upgrade to Windows 10 free, Windows 10 technical preview was recently launched by Microsoft, there are many new features added to the new operating system, Windows 10 will have two browsers, It will ship with both Internet Explorer 11 and Spartan, the new uncluttered browser that Microsoft is developing, apparently to replace IE. Windows 10 will include extended built-in mobile device management (MDM) capabilities making it easier to manage a device from the cloud, Windows 10 interface will adapt via Continuum which will allow the Windows 10 interface to adapt based on the hardware it is running in. Windows 10 will be great for gaming, Microsoft is bringing big changes to PC gaming with Windows 10, We will see the debut of DirectX 12 API which promises faster, “closer-to-the-metal” gaming performance and greater efficiency, Windows 10 will also include a “game DVR” mode to allow recordings of the last 30 seconds of play, all better for the social gaming. 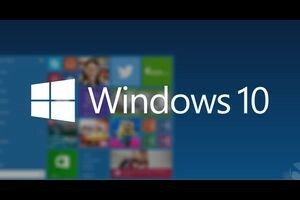 Windows 10 will be free for Windows 8.1 users for its first year, While there is no word on pricing for users still on Windows 7 or an older version, Microsoft confirmed a while ago that the two most recent Windows versions will be able to upgrade to Windows 10 directly. Microsoft has added an Xbox app, you can see what your friends are doing and send them messages, check out achievements, and look at game clips, people have pre-recorded, Microsoft aims to bring the full Xbox Live experience to Windows 10 PCs, including allowing you to stream games from your Xbox One console directly to your PC. Windows 10 will include universal Office apps, Microsoft is creating universal Office apps that will be touch-friendly and run on all devices, Future Windows Phones & Windows tablets will come with Office apps preinstalled. A specialised version of Windows 10 will be launched for smartphones, with revamped Office and Outlook applications, which resemble their PC counterparts, Windows Phone 10 will also have an integrated messaging hub for Skype, texts and other IM services. Windows 10 will have hologram technology, Microsoft introduced Microsoft Holographic, a set of technologies that will enable 3D imaging and hologram projection for Windows 10 apps, A video and live demo showed people wearing Microsoft HoloLens projection goggles to interact with remote coworkers, play a 3D version of Minecraft, or explore a 3D projection of Mars, Developers will be able to use HoloStudio software to develop 3D applications. Microsoft has confirmed Windows 10 will support the Fast Identity Online (FIDO) standard, The users will be able to sign into commonly used apps like Outlook using a variety of biometric tools from fingerprint readers to retina scanners. There will be two versions of the OS available, Windows 10 Technical Preview and Windows 10 Technical Preview for Enterprise, Both have the same functionality but the Windows 10 Technical Preview for Enterprise also includes current enterprise capabilities such as Windows To Go, DirectAccess, BranchCache and AppLocker, so, It is intended for IT pros. Windows 10 improved multitasking, It will introduce a quadrant layout allowing up to four apps to be snapped on the same screen, The OS will even make smart suggestions to fill available screen space. You will be able to cycle through open apps using the familiar Alt + Tab shortcut but there is also a Task View button on the task-bar , Pressing this will show all open apps, allow you to re-arrange them and switch between virtual desktops, There are no more typos in Command Prompt, The power users rejoice as copy and paste will be enabled in Windows 10’s Command Prompt. Microsoft will launch a new web browser for Windows 10 which will be called Microsoft Edge after dropping the “Project Spartan” code name, So, the users will be able to annotate any web page using finger/stylus or keyboard input, Spartan will have a reading mode, And the Cortana voice assistant will be integrated into the browser. Windows 10 can not upgrade oldest windows versions such as Windows 2000, windows 2001 etc, there is more cost for new PCs with Windows 10, There is no update in Windows media player, It is the same as it was earlier. Touch-friendly features have been removed from Windows 10, You can no longer close apps by swiping them down from top to bottom, Many tablet users are going to face some difficulties in case of the touch control of the operating system. You can not resize windows using the handle-bars which were present in most of the previous versions of Windows, Grabbing edges of the windows is very difficult if you are using a pen, Windows 10 has removed the functionality to change the volume level using the scroll button present in the taskbar. If you get fed up with testing Windows 10 and want to revert the PC to the OS you were running before, It won’t be easy, The previous Windows OS will have to be reinstalled from the recovery or installation disk—typically a DVD—that came with the PC. Installing Windows 10 Technical Preview disables the PC’s ability to play DVDs using Windows Media Player, and it removes Windows Media Center from PCs running Windows 8 Pro with Media Center. What are the advantages and disadvantages of Windows 7? What are the advantages and disadvantages of Windows XP? That’s right.I have input windows 10 and remove it because it is bad to use for long time. Who gets Windows 10 for free is mainly based on what the operating system you’re currently running. More recent versions of Windows can be upgraded, but the people using older versions have to pay to upgrade. when you upgrade windows 7 to Windows 10 within the first year , It is free to upgrade. You’ll also get free support for 10 years. It’s the same for Windows 8 users , Windows 10 is totally free if you upgrade in the first year. Windows 10 isn’t free for anyone currently running Windows XP or Windows Vista –, you’ll have to pay £99 up front, though all future updates will be free of charge. will windows 10 slow down my pc after I upgrade it? I noticed that vaio laptop display dimmed as if it is on battery power, I checked my brightness settings it’s at 100% my dimmed setting was at 30% I changed it to 3% or 50% It does not make a difference; from the keyboard (fn+ brightness key) adjusting it, doesn’t dimm or make it brighter. how do I unlock this feature? nice piece of information thank you for showing two sides of Windows 10. I have a PC using windows 10 but each day I open it ,the rate at which is executes diminish. However no viruses detected for I through scan it with trusted antivirus softwares. What could be the problem?.otherwise thanks for your good services provided. Do you download any programs or games from the Internet ?